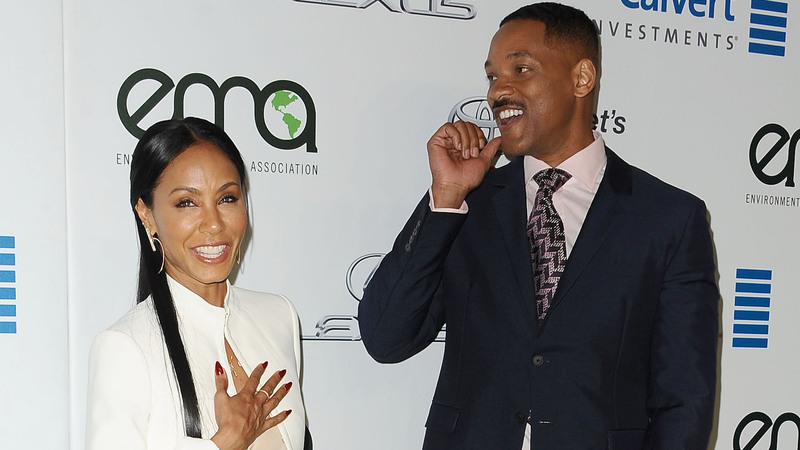 Will Smith and Jada Pinkett Smith aren’t letting time dull their passion for each other. In fact, judging by Will Smith’s birthday tribute to his beautiful wife on Tuesday, the couple is more in love than ever after more than two decades together. On Instagram, Smith posted a photo of the longtime couple celebrating Pinkett Smith’s birthday in the most relatable way: sleeping. In the snapshot, the aspirational duo snoozes side by side in their seats on a plane. “Wow… 24 Birthdays together! Happy Bday, My Queen. Let’s Go Get 24 more,” Smith captioned the picture. And, for good measure, he also included a hilarious, oh-so ‘90s photo of them mean-mugging during their early years together. Smith and Pinkett — who have a son, Jaden, 20, and a daughter, Willow, 17 — married in 1997 following a couple-years courtship. Although the Hollywood power couple has courted their fair share of controversy over the years for their super-honest approach to marriage, they’re a testament to the power of keeping it real. She also explained that a huge factor in the longevity of their marriage is trusting each other to be the best version of themselves. “Here’s what I trust: The man that Will is, is a man of integrity. He’s got all the freedom in the world… as long as Will can look in the mirror and be OK, I’m good,” she said. Smith clearly thinks just as highly of his wife, telling Tidal’s Rap Radar podcast in July of this year that they’ve stopped even referring to themselves as married. Rather, they think of themselves as life partners. “There’s no deal breakers,” he said of getting to the point where you know you’ll be with someone the rest of your life. “There’s nothing she could do — ever. Nothing that would break our relationship. She has my support 'til death, you know what I mean, and it feels so good to get to that space where you’re not complaining, and worry, and demanding that a person be a certain thing.” We may need a second, folks, because the love is just too damn real.